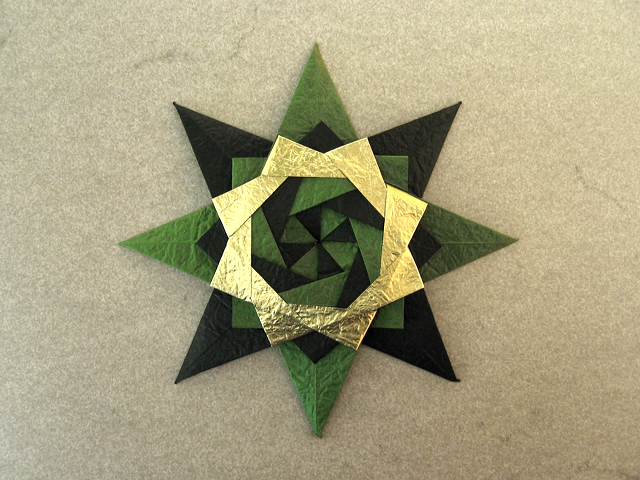 With some slight modifications when folding the modules, the Braided Star transforms into this more advanced version. Fantastic! Any hints to the "slight"
Any hints to the "slight" modification? I'm not sure I'll find the time, but I will see whether I find a bit of extra time to make an instructional video on this version of the Braided Star, too.